Click "Add videos and photos" to browse and select videos and photos from you computer to add. You can also drag and drop videos and photos to the storyboard. 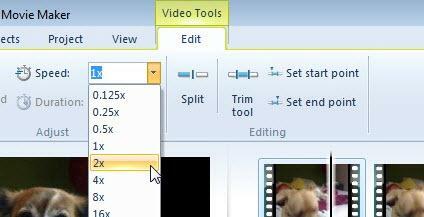 To slow down videos, select the video clip and on the Edit tab under "Video Tools" choose a speed (depending on how much you want to speed the video up or slow it down).